Although just 14km from the bustling Ölu Deniz resort, Beyaz Yunus Faralya is a world away from the trappings of Turkey’s tourist trail, offering total escape and a taste of the country’s rich history, breathtaking beauty and mouth-watering cuisine. 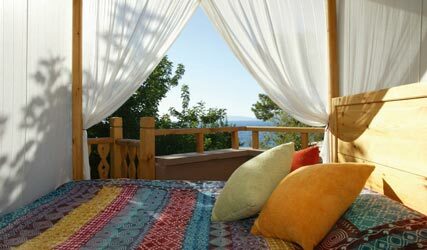 Tucked away in a clearing backed by dense green forest and overlooking the crystal clear Mediterranean, this isolated hideaway sits within lush garden grounds at the foot of a bumpy, winding track, where the dramatic mountain coastline meets the sea. Ideal for those eager to escape the stresses of modern day life, the beauty of Beyaz Yunus Faralya is its departure from typical resorts. Think ultimate seclusion, where there’s few enough guests to go all day barely bumping into anyone and a laidback atmosphere, where you can help yourselves to an unmanned bar and simply note your drinks on a pad. Comprised of just seven rooms shared between three decked cabins, while the accommodation is not typically luxurious, it benefits from simple comfort and utter privacy. You can’t help but instantly unwind on arrival. While many will be satisfied with kicking back in the array of cushion-strewn lounging areas and hammocks, there is plenty on offer for those that like to be a bit more active. Complimentary escorted treks are offered, depending on the time of the year, to explore the abundant history of the area, often following the famous Lycian Way. Guests are free to use the property’s sea kayaks to track the dramatic coastal trail, while fishing boat trips offer a glimpse at the astounding beauty of the region, stopping at the type of deserted beaches that usually exist only on postcards. Onto the food, and while Beyaz Yunus Faralya may not offer an array of restaurants and meal choices, don’t think this is a destination that foodies won’t relish. With its own organic vegetable gardens, the property prides itself on creating authentic Turkish cuisine from the freshest local produce. 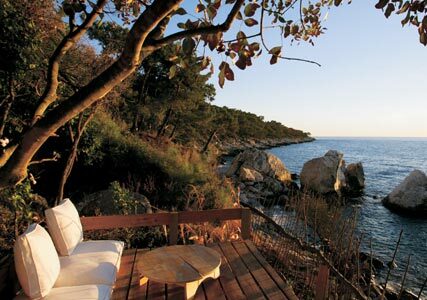 Ultimately, this is a destination perfect for those looking for a total escape – you can’t help but relent to complete relaxation at Beyaz Yunus Faralya.